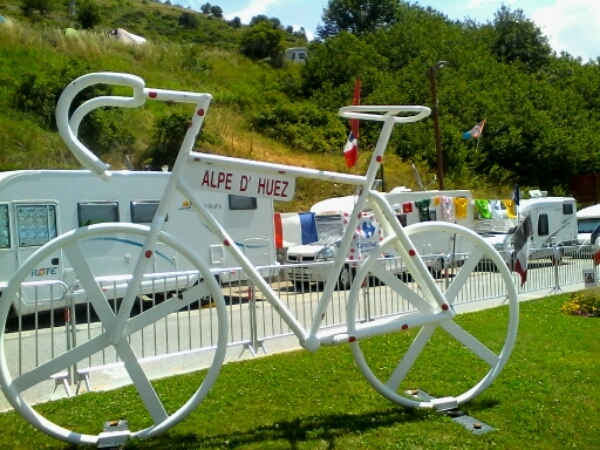 You are here: Home / Blog / Eugene rides Europe / Du Huez Du Huez!!! No rain overnight and a beautiful day in store. I languished in camp enjoying a good breakfast and also hiding tired legs as long as possible before taking on Du Huez !! I set off from Ferme Noemie around 9.45 and would have my photo taken at the top at 12.12.59 after waiting in a queue. The climb has 21 virages or corners and the are all marked. The first stretch is quite tough and I am a little worried that the old legs will not make it. I settled into a nice steady rhythm an soon the corners come and go plus the legs start enjoying it more and more. It proves to be a nice climb with a bit of a sting coming only after you reach the 10% gradient. 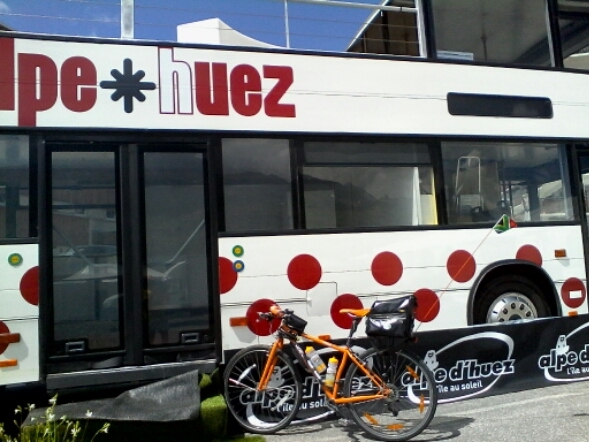 Once you reach the Du Huez village you think it is done then you climb the terraces and finally I pass the polka dot bus to the finish. I have my photo taken by a kind onlooker and then ride up to see where the road leads to. I discover some lakes and more incredible views. On my way down I stop and take lots of photos that I had planned on the up journey being determined to enjoy a tough climb on “Big Orange” without killing myself. I am again amazed at the pace the pro’s race up these mountains and I am holding thumbs that Froomey can defend his lead after serious attacks from all including his biggest rival Nairo Quintana. Tomorrow will deliver a HUGE challenge for Chris!!! I watched the drama unfold and our team finish in 5th spot on team GC so another celebration is called for!! https://i1.wp.com/www.cycleworx.co.za/wp-content/uploads/2015/07/wpid-wp-1437846169674.jpeg?fit=610%2C813&ssl=1 813 610 Eugene Roux https://www.cycleworx.co.za/wp-content/uploads/2018/10/sycleworx_logo_name-340x82.png Eugene Roux2015-07-25 21:56:122016-01-14 07:31:58Du Huez Du Huez!!! 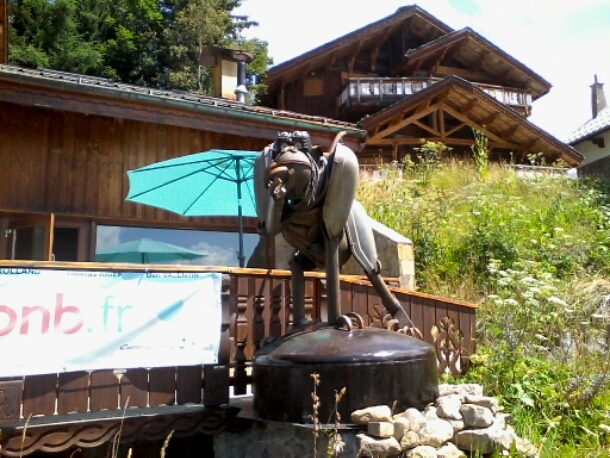 Col Du Glandon – surrounded by beauty and a sad day for Louis M!! 650km with very little effort!